A Swurl list contains a list of web content that your organization allows or blocks access to. 1. On home page, click Manage Lists. 2. Click Create new list. • Name — Enter a name for the list, for example, if you are creating a list which will contain URLs to web sites which users in your organization’s London office are allowed to access, name it: Allowed sites in the London office. • Description — Enter a description of the list. • Add to swurl — From the drop-down list, select the Swurl the list is part of. If this list does not form part of a Swurl, select Do not add to a swurl. For more information about Swurls, see Creating Swurls. 4. Click Save Changes. 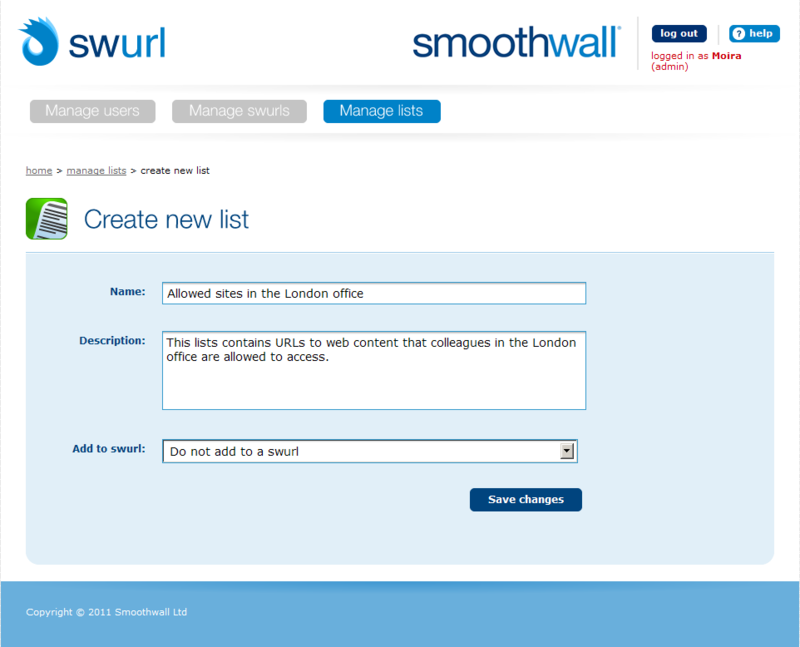 Swurl creates the list and displays it on the Manage lists page. 1. On home page, click Manage Lists. 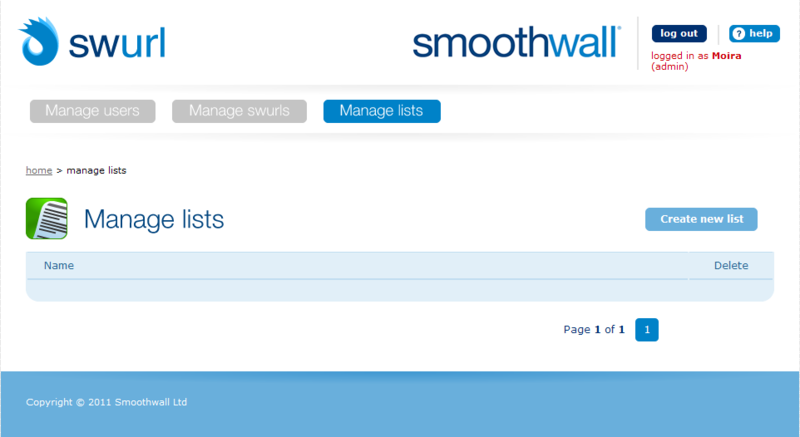 Swurl displays the Manage lists page. 2. Locate and click on the list you want to edit. Swurl displays the list’s details. 2. Locate the list and click Delete. When prompted, confirm that you want to delete the list. You can edit lists by adding or removing URLs from them. 2. Locate and click on the list you want to edit. 5. Enter the URL of the web site you want to allow or block. To add another URL, press Enter to go to a new line and then enter the URL. 6. Repeat the step above for all the URLs you want to add to the list. Tip: If you have a list of URLs in text format, you can copy and paste them into the Add a URL page. The URLs must be on separate lines. 7. When you have added the URLs, click Add to list. 3. Click View list. Swurl displays the contents of the list. 4. Locate the URL and click Delete.